Go behind the scenes with the Emmy-winning Equitrekking team and experience the challenges, bloopers and fun involved in filming. Below is a special video playlist taking you behind the scenes with our film crew as we ride horses, snowmobile, ski and explore the world. We've certainly had our share of bloopers, which we're happy to share with you. No travel adventure is perfect. It's those bumps in the road (or on the trail) that we've learned to quickly adjust to as we travel and film. We definitely ride with it through some extreme terrain, so take a look into the process of filming Equitrekking. Filming a wild Costa Rican block party on horseback was one of the most challenging film shoots we've undertaken. Watch how we did it in this exclusive Equitrekking Behind the Scenes. We thought horse riding through the snow would make for a dreamy Equitrekking episode, but it turned out that it was a little tricky to film in Quebec's snowy backcountry. We battled the conditions to create this winter in Quebec Equitrekking show. Want to know why we started Equitrekking and motivates us to continue trekking round the world? Check out this exclusive interview with the series creator, host and producer, Darley Newman. There are many bloopers on the cutting room floor when we edit Equitrekking. Here are a few of the funny horses, people and travel experiences we've endured as we've filmed from coast to coast and continent to continent. Being trapped several stories underground in the pitch black scare you? You might not want to watch this clip of the Equitrekking crew climbing out of an underground city in Cappadocia, Turkey. Having a talented photographer who can ride horses and create beautiful images is essential in the filming of Equitrekking. Having a sense of humor is helpful too! Meet Greg Barna, Equitrekking's director of photography, who won a Daytime Emmy for the filming of Equitrekking. 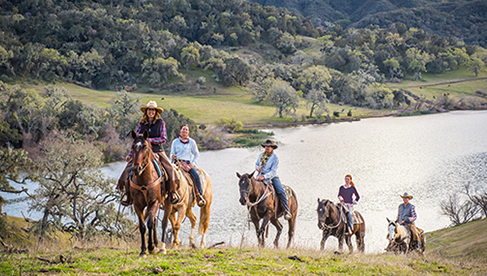 Learn more about the host Darley Newman's travels in and out of the saddle in this clip featuring her adventures Equitrekking. In Iceland, we had the unique experience of snowmobiling on a glacier. Check out how we filmed in this extreme environment. One of our most challenging shoots to date, learn how we filmed in the extreme elements with wildlife in Botswana, Africa. 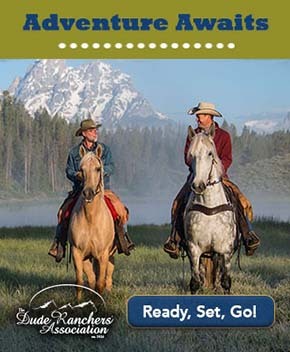 Purchase DVDs of Equitrekking and check out adventures you can experience in the Equitrekking Vacation Guide and at EquitrekkingTravel.com.